Outdoor Travel Lift Manufacturer Supplies Cheap Travel Lift High Quality Travel Lift For Sale! The Most Suitable Choice! Outdoor travel lift is convenient to use and simple to operate. 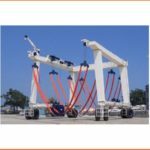 Its simple system includes main structure, travelling wheel block, hoisting mechanism, steering mechanism, hydraulic transmission system, electric control system, the main structure for the U type. Compact structure makes travel lift simple to install and easy to maintain. Ellsen Group, one of professional travel lifts manufacturers in China, sales reliable boat hoists with factory price, such as remote control travel lift, cabin control travel lift, factory direct sales marine travel lift, safe driving steady travel lift, all wheel steering boat hoist, ISO approval mobile travel hoist. Whatever types of travel lift customers want to buy, they can purchase suitable one from Ellen! 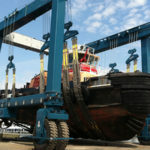 According to practical needs and specifications, Ellsen provides customized service for the most suitable travel lift! 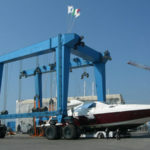 Outdoor travel lift includes marine boat hoist and construction boat hoist. 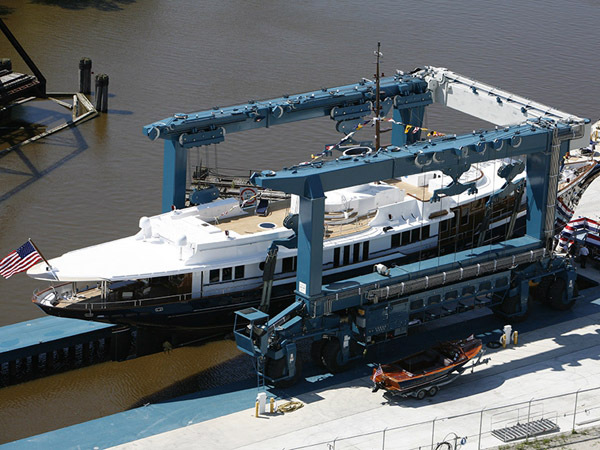 Marine travel lift is mainly used for lifting vessel from river, putting vessel into water. It adopts soft and firm belt to lift boat, yacht, it will never hurt the surface. 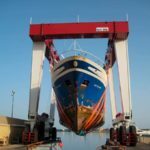 Construction travel lift is applied for transporting boat and maintaining boat on the land. Electrical system uses PLC frequency adjustment, it can control every mechanism easily. 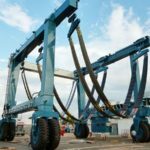 How to choose suitable lifting tons for lifting duty? 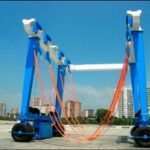 According to lifting duty, outdoor travel lift can be divided into two types, high lift capacity travel lift and heavy duty travel lift. 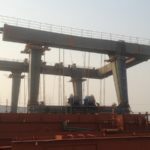 For light and frequent duty, small boat hoist is good, such as 10 ton travel lift, 25 ton mobile gantry crane, 35 ton marine boat hoist for sale, 50 t vessel hoist for sale. 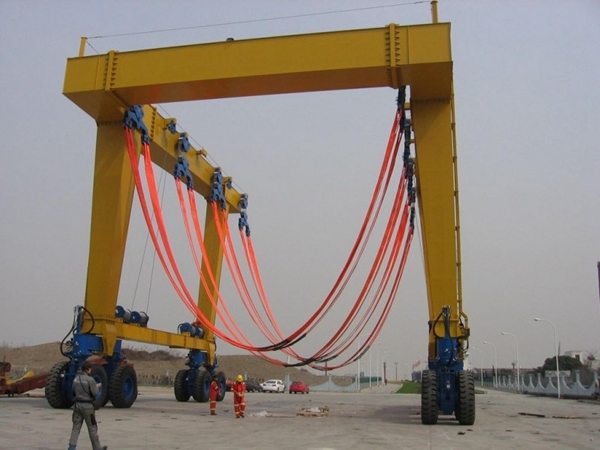 For heavy duty, large travel lift is suitable, such as 200 ton marine boat hoists, 500 ton mobile boat lift gantry crane, 600 ton boat hoist gantry crane, travel lift 800 ton, 1000 ton marine travel lift.